Without even knowing the language, the director lands in Paris. 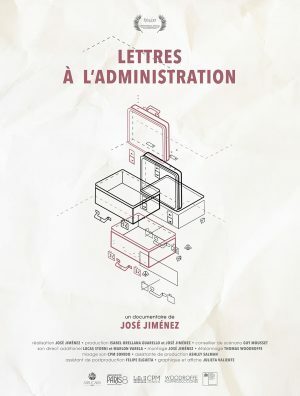 Motivated for this uncertain experience as an immigrant, he begins to gather the written correspondence that he maintains with French bureaucratic institutions. Through these letters he goes along constructing a travel diary that puts into question the path for integrating into the European society. He studied journalism in Chile. At the end of his formal training, he opted for a specialization in documentary filmmaking. In this context he made his first short films, most notably “Las Niñas” (2010), which participated in the most impor...tant film festivals in Chile with regard to the categories of Chilean film schools. Since then, Jiménez has maintained an active dialogue between his documentary work and audiovisual production. 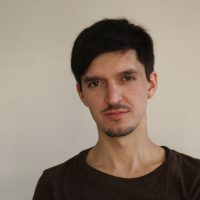 He has collaborated with different means of communication in Chile, as a reporter as well as an audiovisual producer and creator, and at the same time he has participated as an investigator and assist director for documentary series. Jiménez currently lives in Paris. There, active as a journalist dedicated principally to chronicle and current events, and in parallel to his audiovisual development, he finalized a master’s degree in cinematic creation at the Université de Paris VIII (Vincennes-Saint-Denis).